Not to be confused with Cankili II. Cankili I (Tamil : சங்கிலியன்) (died 1565), also known as Segarasasekaram, is the most remembered Jaffna kingdom king in the Sri Lankan Tamil history. He was very active in resisting Portuguese colonial inroads into Sri Lanka. He also inherited his throne via palace intrigues in which number of heir apparent’s died under mysterious circumstances. At the end, he was removed from power by a local uprising that led to his son Puviraja Pandaram taking nominal power from him. Tamil is a Dravidian language predominantly spoken by the Tamil people of India and Sri Lanka, and by the Tamil diaspora, Sri Lankan Moors, Douglas, and Chindians. Tamil is an official language of two countries: Sri Lanka and Singapore and official language of the Indian state Tamil Nadu. It has official status in the Indian state of Tamil Nadu and the Indian Union Territory of Puducherry. It is used as one of the languages of education in Malaysia, along with English, Malay and Mandarin. Tamil is spoken by significant minorities in the four other South Indian states of Kerala, Karnataka, Andhra Pradesh and Telangana and the Union Territory of the Andaman and Nicobar Islands. It is one of the 22 scheduled languages of India. Puviraja Pandaram ruled the Jaffna kingdom during a period of chaos during and after the death of his father Cankili I in 1565. He became king in 1561 following a local uprising against Cankili I. Although he was the nominal king, Cankili I wielded real power behind the throne until his death in 1565. After Cankili's death, Puviraja Pandaram lost power to one Kasi Nainar and Periyapillai. After the death or abdication of Periyapillai in 1582, Puviraja Pandarm was nominated as the king for the second time. His father, Singai Pararasasegaram, had two principal wives and a number of concubines. His first wife, Rajalaksmi, had two sons, Singhabahu and Pandaram. Singai Pararasasegaram second wife was Valliammal, she bore him Paranirupasingham. Cankili's mother had Cankili and a daughter named Paravai. As part of palace intrigues, Cankili was able to ascend the throne. St. Mary's Cathedral is the seat of the Roman Catholic Diocese of Jaffna located in Gurunagar, a suburb of Jaffna in northern Sri Lanka. Jaffna is the capital city of the Northern Province of Sri Lanka. It is the administrative headquarters of the Jaffna District located on a peninsula of the same name. With a population of 88,138 in 2012, Jaffna is Sri Lanka's 12th most populous city. Jaffna is approximately six miles from Kandarodai which served as an emporium in the Jaffna peninsula from classical antiquity. Jaffna's suburb Nallur served as the capital of the four-century-long medieval Jaffna Kingdom. Mannar Island formerly spelt Manar Island, is part of Mannar District, Sri Lanka. It is linked to the main island of Sri Lanka by a causeway. It has an area of about 50 square kilometres, mainly covered with vegetation and sand. Adam's Bridge, is a chain of limestone shoals, between Pamban Island, also known as Rameswaram Island, off the southeastern coast of Tamil Nadu, India, and Mannar Island, off the northwestern coast of Sri Lanka. Geological evidence suggests that this bridge is a former land connection between India and Sri Lanka. 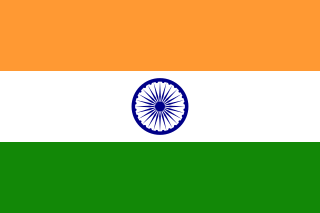 India, also known as the Republic of India, is a country in South Asia. It is the seventh largest country by area and with more than 1.3 billion people, it is the second most populous country as well as the most populous democracy in the world. Bounded by the Indian Ocean on the south, the Arabian Sea on the southwest, and the Bay of Bengal on the southeast, it shares land borders with Pakistan to the west; China, Nepal, and Bhutan to the northeast; and Bangladesh and Myanmar to the east. In the Indian Ocean, India is in the vicinity of Sri Lanka and the Maldives, while its Andaman and Nicobar Islands share a maritime border with Thailand and Indonesia. Mannar is the main town of Mannar District, Northern Province, Sri Lanka. It is governed by an Urban Council. The town is located on Mannar Island overlooking the Gulf of Mannar and is home to the historic Ketheeswaram temple. ↑ Gunasingam, Murugar (2005). Primary Sources for History of the Sri Lankan Tamils: A World-wide Search. M.V. Publications for the South Asian Studies Centre, Sydney. p. 86. ISBN 9780646454283. ↑ The Ceylon Antiquary and Literary Register. The Times. 1919. p. 60. ↑ Joseph, Dishan (2016-07-16). "Mannar Island of Martyrs » Nation". Nation. Retrieved 2018-04-24. ↑ Kurukshetra. Sri Lak-Indo Study Group. 1983. p. 68. The Jaffna Kingdom, also known as Kingdom of Aryachakravarti, of modern northern Sri Lanka was a historic monarchy that came into existence around the town of Jaffna on the Jaffna peninsula traditionally thought to be established after the invasion of Magha, who is credited with the founding of the Jaffna kingdom and is said to have been from Kalinga, in India. Established as a powerful force in the north, north east and west of the island, it eventually became a tribute paying feudatory of the Pandyan Empire in modern South India in 1258, gaining independence in 1323, when the last Pandyan ruler of Madurai was defeated and expelled in 1323 by Malik Kafur, the army general of the Muslim Delhi Sultanate. For a brief period, in the early to mid-14th century, it was an ascendant power in the island of Sri Lanka when all regional kingdoms accepted subordination. However, the kingdom was eventually overpowered by the rival Kotte Kingdom, around 1450 when it was invaded by Prince Sapumal under the Kotte Kingdom's directive. The Aryacakravarti dynasty were kings of the Jaffna Kingdom in Sri Lanka. The earliest Sri Lankan sources, between 1277 and 1283, mention a military leader of this name as a minister in the services of the Pandyan Empire; he raided the western Sri Lankan coast and took the politically significant relic of the Buddha’s tooth from the Sinhalese capital city of Yapahuwa. Political and military leaders of the same family name left a number of inscriptions in the modern-day Tamil Nadu state, with dates ranging from 1272 to 1305, during the late Pandyan Empire. According to contemporary native literature, such as Cekaracecekaramalai, the family also claimed lineage from the Tamil Brahmins of the prominent Hindu pilgrimage temple of Rameswaram in the modern Ramanathapuram District of India. They ruled the Jaffna kingdom from the 13th until the 17th century, when the last of the dynasty, Cankili II, was ousted by the Portuguese. Chandrabhanu or Chandrabhanu Sridhamaraja was the King of Tambralinga Kingdom in present-day Thailand, Malaysia and Sumatra. A Javaka, he was known to have ruled from during the period of 1230 until 1263. He was also known for building a well-known Buddhist stupa in southern Thailand. He spent more than 30 years in his attempt to conquer Sri Lanka. He was eventually defeated by the forces of the Pandyan Dynasty from Tamil Nadu in 1263 and was killed by the brother of the south Indian Emperor Jatavarman Sundara Pandyan. Martanda Cinkaiariyan ascended the throne of Jaffna Kingdom under the throne name Pararasasekaram III. He is one of the early Aryacakravarti kings about whom historical and epigraphical evidence is available. He was noted by Ibn Battuta in his well-known travelogue as well as he has left behind a few inscriptions. He oversaw the international trade of the Jaffna kingdom with Yemen via the kingdom's powerful trading ships. Martanda Cinkaiariyan accompanied Battuta to the peak of Sivanoli Padam Malai along with Yogis and other Hindus and companions of the king who visited the sacred Shiva site annually. Cankili II was the self-proclaimed last king of the Jaffna kingdom and was a usurper who came to throne with a palace massacre of the royal princess and the regent Arasakesari in 1617. His regency was rejected by the Portuguese colonials in Colombo, Sri Lanka. His reign was secured with military forces from the Thanjavur Nayaks and Karaiyar captains. He was defeated by the Portuguese in 1619 and was taken to Goa and hanged. With his death the Aryacakravarti line of Kings who had ruled the kingdom for over 300 years came to an end. Ethirimanna Cinkam was the penultimate ruler of the Aryacakravarti line of Kings of the Jaffna Kingdom in northern Sri Lanka. He came to power due to the second Portuguese expedition led by André Furtado de Mendonça in 1591. In that expedition, the King of Jaffna, Puviraja Pandaram and the father of Ethirimnna Cinkam was killed. Periyapillai was of one of the Aryacakravarti rulers of Jaffna kingdom who followed in the chaotic period after the death of Cankili I(1519–1561). Some sources claim that he deposed the Cankili I's son, Puviraja Pandaram as soon as Cankili I died. Others say that there was an intermediate ruler named Kasi Nainar between him and the death of Cankili I. He with the help of Thanjavur Nayak help mounted an attack on the Portuguese fort in the Mannar Island to regain territory lost during Cankili's rule but he was defeated. Due to a local uprising he lost power to Puviraja Pandaram. He is considered to be the father of the last king of the Kingdom, Cankili II and Migapulle Arachchi. Singai Pararasasegaram, apart from Cankili I (1519–1561), was one of the most well known kings of the later Aryacakravarti kings of the Jaffna kingdom. He was also Cankili's father. Kulasekara Cinkaiariyan is considered to be the first of the Aryacakravarti dynasty kings to establish his rule over the Jaffna Kingdom in modern Sri Lanka. Migapulle Arachchi also known as Chinna Migapillai, was a feudal lord from the Jaffna Kingdom who became a rebel leader just after its annexation by the Portuguese Empire in 1619. His title Arachchi, is a title given to the commanders of Lascarins or native military forces. Jeyaveera Cinkaiariyan was the Aryacakravarti king of the Jaffna Kingdom in modern-day northern Sri Lanka, who had a military confrontation with a southern chief known as Alagakkonara. According to traditional sources, Alagkkonara defeated Jeyaveera's naval and land forces and assumed royal power in the southern Gampola Kingdom. Later, King Harihara II's brother Yuvaraja Virupanna invaded Sri Lanka from Karnataka, defeated Alagkkonara and established a pillar of victory there. Bhuvanekabahu VI of Kotte, known also as Sapumal Kumaraya and Chempaka Perumal, was by self admission an adopted son of Parakramabâhu VI whose principal achievement was the conquest of Jaffna Kingdom in the year 1447 or 1450. He ruled the kingdom for 17 years when he was apparently summoned to the south after the demise of his adopted father. According to a primary source Rajavaliya, he killed the grand son of Parakrama Bahu VI namely Vira Parakrama Bahu or Jaya Bahu but Do Couto, however, who was well-informed, says after a few years' reign the king died and his half-witted son was put on the throne by his aunt, who two years later finding herself unable to rule sent for Sapumal Kumaraya from Jaffna. The Portuguese conquest of the Jaffna kingdom occurred after Portuguese traders arrived at the rival Kotte Kingdom in the southwest of modern Sri Lanka in 1505. Many kings of Jaffna, such as Cankili I, initially confronted the Portuguese in their attempts at converting the locals to Roman Catholicism, but eventually made peace with them. Dom Constantino of Braganza (1528–1575) was a Portuguese statesman and military commander of the 16th century. He was a member of the Most Serene House of Braganza. Savakanmaindan was a monarch of the kingdoms of Tambralinga and Jaffna. He was the son of the Savakan king Chandrabhanu of Tambralinga who usurped the Tamil throne in 1255. During his rule of Jaffna, the Venetian traveller Marco Polo visited the northeastern Tamil country. When to date the start of the history of the Jaffna kingdom is debated among historians. Kasi Nayinar Pararacacekaran was of one of the Aryacakravarti rulers of Jaffna kingdom who followed in the chaotic period after the death of Cankili I(1519–1561), and he removed Puviraja Pandaram. He was not from royal family, which made despite against him, and his enemies approached Portuguese, who ruled from Mannar. Portuguese utilized this opportunity and fought with Kasi Nayinar, and he was imprisoned. Portuguese appointed a king, and later he became victim to the supporters of Kasi Nayinar. After he rescued, again he ruled Jaffna and soon he poisoned by his servant with the support of Portuguese. André Furtado de Mendonça was a captain and governor of Portuguese India, and a military commander during Portuguese expansion into Ceylon, India, Indonesia and Malacca. Varunakulattan was a 17th-century feudal lord and military commander from the Jaffna Kingdom. He led a rebellion as the military commander of Thanjavur Nayak force against the Portuguese in their conquest of the Jaffna kingdom in 1619. Although the nominal king was Cankili II, Varunakulattan was described as the king of Karaiyars, and was the one wielding the real power in the Jaffna Peninsula under this period. Kunarasa, K (2003). The Jaffna Dynasty. Johor Bahru: Dynasty of Jaffna King’s Historical Society. p. 122. ISBN 955-8455-00-8. Gnanaprakasar, Swamy (2003). A Critical History of Jaffna (review of Yalpana Vaipava Malai). New Delhi: Asian Educational Services. p. 122. ISBN 81-206-1686-3. Johor Bahru, formerly known as Tanjung Puteri or Iskandar Puteri, is the capital of the state of Johor, Malaysia. It is situated along the Straits of Johor at the southern end of Peninsular Malaysia. Johor Bahru has a population of 497,097, while its metropolitan area, with a population of 1,638,219, is the third largest in the country. 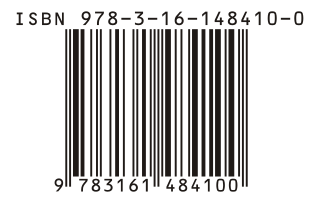 The International Standard Book Number (ISBN) is a numeric commercial book identifier which is intended to be unique. Publishers purchase ISBNs from an affiliate of the International ISBN Agency.